#1. The capacity of iPhone (32G) and iPad (64G) is utterly inadequate to store your huge media library on PC/Mac at home. #2. iPhone iPad only play MP4, MOV, H.264, M4V files. If you have AVI, WMV, FLV, MKV, M2TS, etc. videos, you have to spend hours converting them to iPhone iPad friendly formats then syncing via iTunes. Any way to remote access our media library via 3G/4G network when we're not at home and streaming video audio to iPhone iPad without pre-converting and syncing? Fortunately, yes. 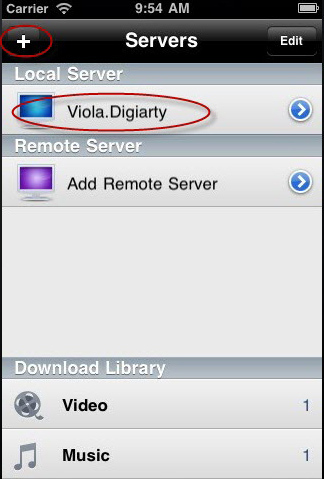 Digiarty's Air Playit empowers your iPhone iPad to remote access the media library via 3G/4G network and stream video audio to iPhone iPad. So wherever you're, in a car, at airport, in your office, etc., you're able to remote stream media to iPhone iPad from your home PC/Mac. No syncing, no tedious format converting and no space requiring. Air Playit is capable of remote streaming video audio to iPhone iPad over wireless network, say, 3G, 4G or Wi-Fi. It completes remote media streaming through two components: a server on PC/Mac and a client on iPhone iPad. Air Playit supports manually adding remote server by specifying IP address and streaming from remote server via 3G/4G network. Besides, it supports Live Conversion which streams video audio to iPhone iPad via 3G/4G instantly without having to waiting for it to be converted. 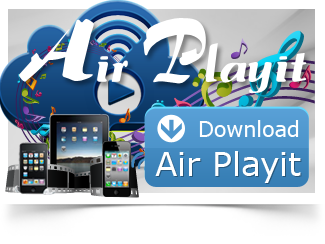 * Download and install Air Playit server on your PC/Mac. * Download Air Playit client and install on your iPhone iPad. Step one: Run Air Playit server on your PC/Mac and click "Add Folder". You can add media from your computer or the iTunes Playlist under the "Shared Folders" tab. Tips: Adding media under the "Shared Folders" on Windows OS, and under "Sharing Folder" on Mac OS. Step Two:Launch Air Playit client on your iPhone iPad and manually add your PC/Mac to the server list by specifying the IP address. Tips: Here is a guide for you to get remote streaming work via 3G/4G network. Step Three: Click "Play" and remote media streaming is on the go. 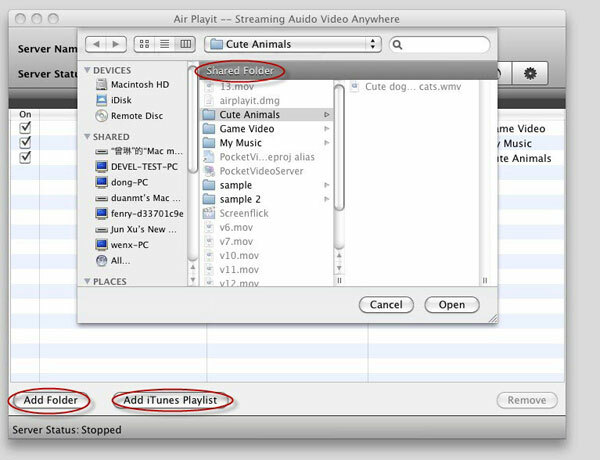 Air Playit will remote access your PC/Mac media library via 3G/4G and streaming video audio to your iPhone iPad instantly by Live Converting. So you can watch videos on iPhone iPad without any waiting.